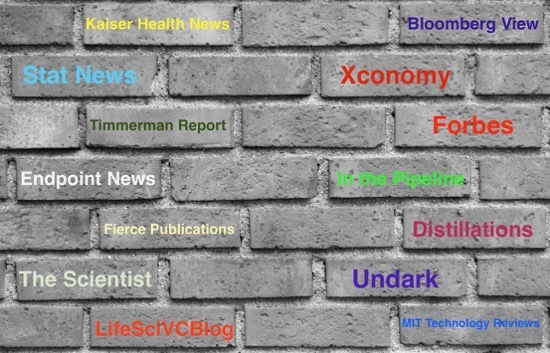 One question I’m frequently asked: what do you read to keep up with developments in biopharma? My recommendations are below, but keep in mind that my needs may be different from yours. It depends on an individuals background, their interests, how they plan to use that information, and how much they want to spend. Most people will give disparate answers to this question, and that’s just how it should be. Anyone who’s ever tried to access the scientific literature knows that science journals are incredibly expensive. 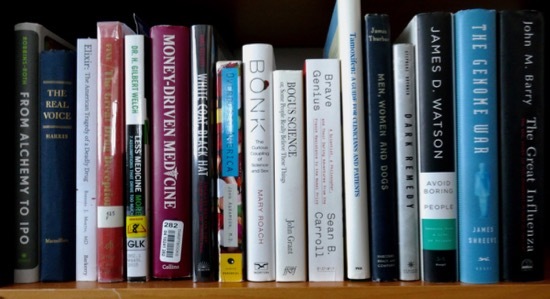 Subscriptions often cost hundreds, if not thousands of dollars per journal title. Purchasing individual papers online (often at $30 to $35 apiece) is equally problematic; I’ve estimated that about three quarters of articles in the scientific literature are secured behind paywalls. Ironically, one of the articles I wrote about the problem of unaffordable science journals is now sequestered behind the Nature Biotechnology paywall (it was originally freely available). The high cost of journals hinders access by both lay people as well as physicians and many scientists (mostly those outside of academia). The unaffordability of science journals serves as an impediment to the success of small biotechnology companies. It makes it difficult for the scientists who work there to keep current with the latest developments in their fields. 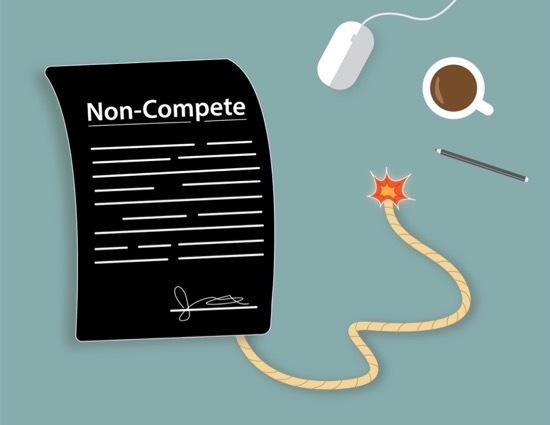 It’s hard to be competitive as an R&D organization when you can’t afford access to the key papers that may steer your research one way or another. Equally troubling is the other side of the coin: rising costs (to the authors) for publishing papers. These can now exceed $5,000 for some open access journals (in which those who submit the articles pay a fee, rather than the end users), and costs have been rising at a pace much higher than the overall inflation rate. Many people know that an eternal link exists between science and music. For example, Russian composer Alexander Borodin was as well known for his chemical work on aldehydes as his symphonies and string quartets. 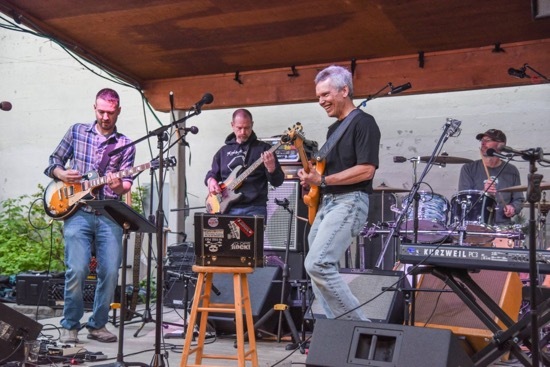 Many scientists have side careers, or at least hobbies, as musicians. 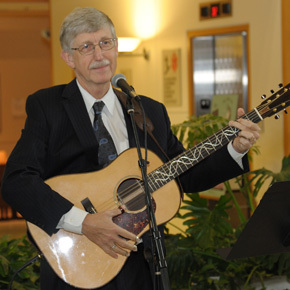 These include NIH Director Francis Collins, who has entertained many people with his singing and guitar playing (note the inlaid mother-of-pearl double helix on the guitar’s fretboard). What you may have missed is that many rock musicians, who’ve long been associated with illicit drug abuse, clearly envisioned numerous modern pharmaceutical innovations in their songs. I’m not talking about overt drug tracks like J.J. Cale’s Cocaine (popularized by Eric Clapton), the Beatles Doctor Robert, or the Rolling Stones’ Mother’s Little Helper. I’m talkin’ tunes that predated and anticipated later medicinal developments, as reflected in their lyrics. Let me share a few examples. This is my fourth collection of biopharma haiku. You can also follow these links to access my previous collections I, II, and III. I hope you enjoy them! Will McConnell find the votes? When you hear the word “blockbuster”, what’s the first thing that comes to your mind? In my previous post, I detailed numerous similarities between the pharmaceutical and film industries. Now it’s time to point out the substantial differences between these two businesses that illustrate their different economic consumption and pricing models. Nobody’s producing drugs in their basement that are going to earn them a ton of money. Okay, let me rephrase that. Nobody’s producing legal pharmaceuticals in their basement that are going to earn them big bucks. Creating prescription drugs is a very expensive enterprise. The cost of bringing a new drug to market has been estimated by the Tufts Center for the Study of Drug Development to be about $2.6 billion. That’s a huge hurdle to making money. There’s no getting around extensive research, filing multiple patents, complicated manufacturing steps, expensive clinical trials, and detailed regulatory and FDA filing requirements. How long might it take just to recoup those costs? Let’s return to my previously cited example of a very poor selling drug. Seattle’s CTI BioPharma sold only $3.47 M of their non-Hodgkin disease/B-cell lymphoma drug Pixuvri worldwide in 2015 (all sales were in Europe). If it cost the company the current industry “average” of $2.6 billion to develop it (which it didn’t), it would take about 749 years just to recoup that money, based on 2015 revenues. And that’s without showing a profit. It’s a pretty safe bet this drug will never recapture its development costs no matter what they were. Would Government Buyouts of Pharma Companies Really Be A Good Way To Lower Drug Prices? Here’s a novel way to lower health care costs: make the US government a purveyor of drugs. In a recent article in Forbes, Peter Bach and Mark Trusheim suggested that the US government could reduce drug costs by buying Gilead and distributing its hepatitis C medicines at a greatly discounted price. The idea, on the face of it, is an interesting one to consider. In their scenario, the government buys Gilead for a 30 percent premium on its current stock price, spending $156 billion. The government would then sell off the R&D operations as well as a strong franchise of HIV drugs, reducing the “net cost” down to $77 billion. Other financial adjustments reduce the price further, lowering the cost to treat each patient down to $15,733 from what they claim is the current cost of $42,000. This represents a pretty nice cost savings when spread out over a patient population of 3.2 million people (including about one out of every three people in prison). Gilead’s hepatitis drugs certainly rank at or near the very top of innovative medicines coming out of biopharma in the last 25 years. However, the Forbes article did not delve into some of the far-reaching ramifications of what government buyouts might mean to other players. Let’s take a deeper look below the surface to see what such a buyout might portend. Baby Boomers know that Superman, the world’s most famous superhero,“…fights a never-ending battle for truth, justice, and the American way!” These words opened the 1950’s Adventures of Superman TV series that ran from 1952-1958. The introduction on the 1940’s radio series of the same name, however, was a bit different, “Superman–defender of law and order, champion of equal rights, valiant, courageous fighter against the forces of hate and prejudice, who….fights a never-ending battle for truth and justice.” The words, “the American way” were added to this phrase as part of the animated Fleischer Studios Superman serials in 1942, when the U.S. was deeply embroiled in WWII. The three extra words were dropped from the radio broadcasts when the war ended, but were revived in the TV show as well as the 1978 Superman film. Donald Trump’s recent pronouncement that he would not necessarily accept the results of the presidential election elicited an avalanche of angst across America. Such a move would threaten the very pillars of democracy that have been in effect for some 240 years. While Trump and his supporters will undoubtedly have feelings of disappointment, disillusionment, and anger if he loses (which is looking increasingly likely), challenging the outcome itself would be unprecedented. What would Donald Trump do if he were CEO of a biopharma company that had its drug rejected by the FDA? Outrageous drug price increases have been a hot-button news story for most of the year. Even those who work in the industry know that drug pricing is incredibly complicated, tied to all sorts of group discounts, bundles, and a system of rebates (which are themselves tied to market share of the drug) that benefits both drug companies and pharmacy benefit managers. What was once explained by industry wags as the unfortunate actions of just a few exploitative bad actors (e.g. Turing and Valeant) has continued to expand to more firms. Generic drug maker Mylan (seller of the EpiPen) and Taro Pharmaceuticals have now been caught up in the contretemps, as has newcomer Novum Pharma. Venture capitalist Bruce Booth wrote a nicely detailed commentary comparing “innovator” vs. “exploiter” companies, but I’m not so sure that it’s easy to quickly distinguish one from the other. Many of the companies categorized as innovators (meaning they actually do R&D, and generate new products that meet unmet medical needs), are also responsible for some of these outrageous price hikes. These include companies that make drugs for multiple sclerosis and those who peddle high priced insulins. How Can You Make Money in Biotech If Only One In Ten Companies Turns A Profit? It’s that time of year when we can finally sit down to enjoy the long awaited knock down, drag out battle of some national heavyweights. No, I’m not talking about Clinton vs. Trump; that fight may be too painful to watch. I’m talking about the upcoming clash between two battle-tested opponents. 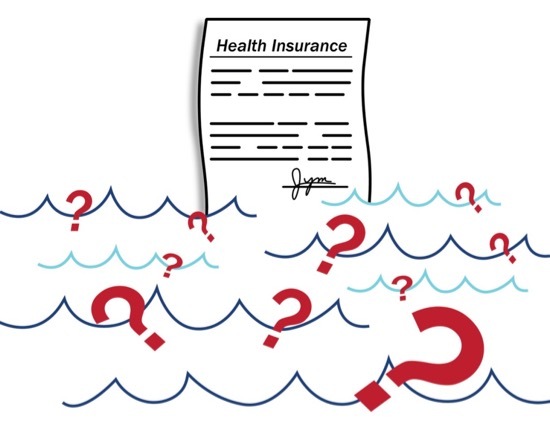 This fight pits lobbyists representing “Usurious” insurance companies against those for “Greedy” biotech and pharma firms. In the battle of Goliath vs. Goliath, the razor arrows have been sharpened and the lines in the sand have already been drawn. 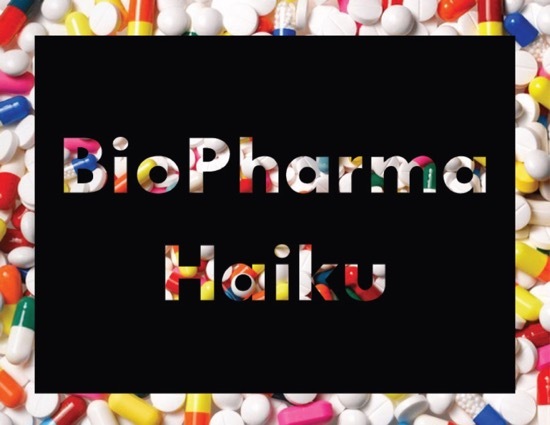 This is my third collection of biopharma-focused haiku. Click on the links to read Round One and Round Two. Enjoy! Which Bush Had The Greatest Impact On American Science? Was it George W. Bush? His administration is best known for putting limits on the use of embryonic stem cells for research, for its continued support of space exploration (remember the proposal for the mission to Mars), and for questioning the science of global warming. This latter position contributed (at least in part) to the U.S. not supporting the Kyoto protocol to reduce greenhouse gas emissions. He did fulfill a commitment to doubling the NIH budget during the early years of his administration. Unfortunately, funding of the NIH became static at that point, and in inflation-adjusted dollars, is now about 20 percent lower than it was in 2003. George W. Bush also called for the doubling of certain research programs via the American Competitiveness Initiative, but Congress never funded it. 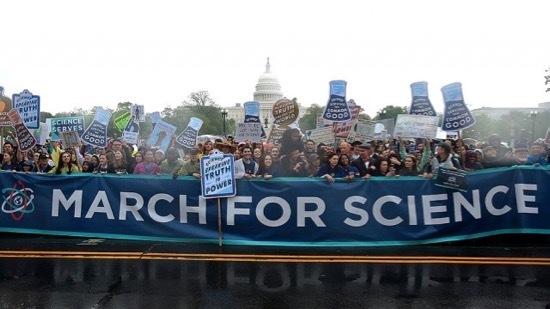 His administration was repeatedly accused of being anti-science by adding politically correct appointees to various science panels, and for censoring reports that conflicted with his administrations views. True or False: Only Two Out of Ten Drugs Earns Back Its Development Costs? If you are not familiar with it, Sci-Hub is a new online portal that allows users to download for FREE any of the scientific publications in its database (supposedly, some 47 million articles). An explanation about how it operates can be found here. Let’s be clear from the outset: this portal is illegal as it violates international copyright law as well as the Computer Fraud and Abuse Act. Sci-Hub was created by Alexandra Elbakyan, a Russia-based neuroscientist. She developed Sci-Hub after becoming frustrated in her efforts to access the vast network of science papers stored behind paywalls while attempting to do her research. The publications that she needed for her work were available but simply unaffordable. As a result, she engineered this database and is making it available at no cost to the entire worldwide community (not just researchers). 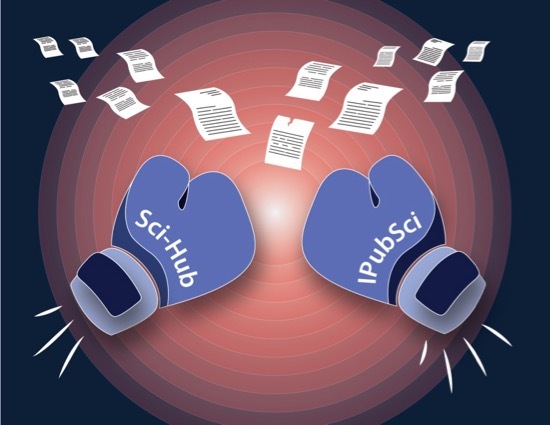 While many have cheered the free availability of the papers contained in this database, consequences of a Sci-Hub “victory” have been predicted to be dire. In the early days of cancer chemotherapy, doctors quickly realized that the single agents they were testing were not only highly toxic, they were simply ineffective at curing their patients. Initial discussions about combining some of these drugs were met with heated opposition by the medical community. As former NCI Director Vincent DeVita Jr. stated in his recent memoir The Death of Cancer (2015), “Using more than one drug at a time to treat something was, as a general rule, considered sloppy medicine.” The first effective cancer treatments evolved to include combinations of four chemotherapeutic drugs. This pattern is now repeating itself in the field of cancer immunotherapy. The latest attack on drug industry pricing has calmed down a little now, although the subject is sure to reignite as the 2016 Presidential election race heats up. Hillary Clinton, despite being the leading recipient of campaign contributions from drug industry insiders, recently issued a call to regulate drug pricing (and Bernie Sanders has actually co-sponsored new drug pricing legislation). These calls elicited the expected responses from PhRMA and BIO, with both trade organizations suggesting that such a move would restrict patient access and inhibit the development of new medicines.